Identify relevant online resources for travelers and clinicians. List at least five ways to prevent mosquito bites. 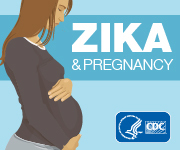 Describe how to prevent sexual transmission of the Zika virus. Zika Repellent Wallet CardCdc-pdf A small card with guidance on effective use of insect repellent to prevent mosquito bites. CDC Travelers’ Health Website offering destination-specific vaccine and travel health recommendations, travel notices, help with finding a travel medicine provider, and other resources for travelers and clinicians. Travelers’ Health Clinician Resources Resources for clinicians including clinical updates on travel medicine-related topics and continuing education courses on travel medicine. The CDC Yellow Book, Health Information for International Travel published every two years as a reference for health professionals providing care to international travelers and is a useful resource for anyone interested in staying healthy abroad. The Yellow Book offers the U.S. government’s most current travel health guidelines, including pretravel vaccine recommendations, destination-specific health advice, and easy-to-reference maps, tables, and charts. Resources for Travelers hosting printable fact sheets that cover more than 40 travel health topics written in plain language for the international traveler. Topics include travel health insurance, jet lag, motion sickness, cruise ship travel, and travel to high altitudes. CDC Travel Notices travel health notices about disease outbreaks and international events (such as natural disasters or mass gatherings) that may affect the health of travelers. The notices include information about what the situation or health risk is, who is affected, how travelers can protect their health, information for clinicians, and links for more information. CDC’s TravWell and Can I Eat This? Companion applications to the Travelers’ Health destination pages. TravWell allows users to build an itinerary and receive destination-specific vaccine and medicine recommendations. For each itinerary, it also generates a customizable, destination-specific to-do list and packing list. Can I Eat This? prompts users to select the relevant country and answer a few simple questions about food and drink to determine whether it’s likely to be safe. CDC Traveler’s Health on Facebook and Twitter Connecting with CDC through these social media can ensure clinicians have the most update to the minute information to prevent illness and injury during international travel. Pre-Travel Providers’ Rapid Evaluation Portal (Pre-Travel PREP)External A free clinical tool that guides health providers through preparing a US traveler for a safe and healthy international trip.